Can I just tell y'all about my day?? I find it interesting that today's task is to write about emotional and physical changes. 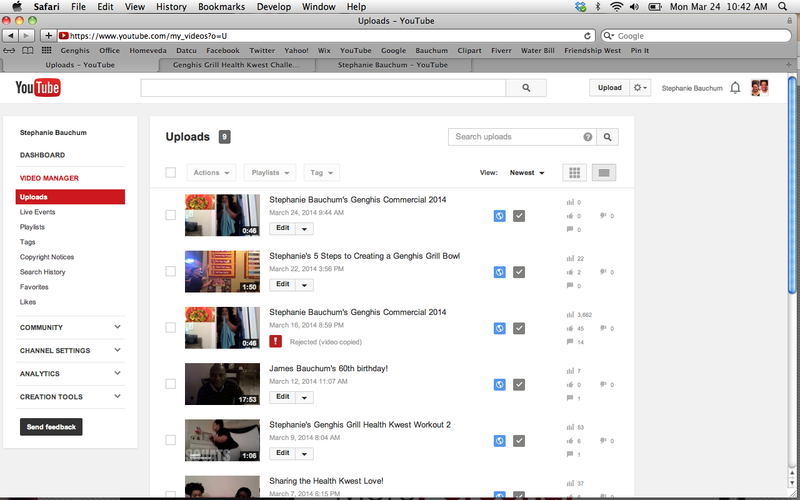 I woke up this morning and logged into YouTube to check the view count of my Genghis commercial. To my surprise, YouTube removed the video and said that I violated their terms. They re-uploaded the video and now my views were back at 0. What?? I wrote an original song and it's taken down because of violation? Something just wasn't right. So I immediately sent Jackie an email stating what happened. Keep in mind I had over 3000 views before I went to bed last night. I was able to log into my account's video manager and see the view count of the old video. I took a screen shot and sent that over as well. It's 3:05pm and I get an email out of the blue saying, "Congratulations, Stephanie, you won!" I'm shocked!! All of that worrying I did this morning about my video being removed, and I won?!? Wow, God is good!! The whole YouTube event was out of my hands and God took over! 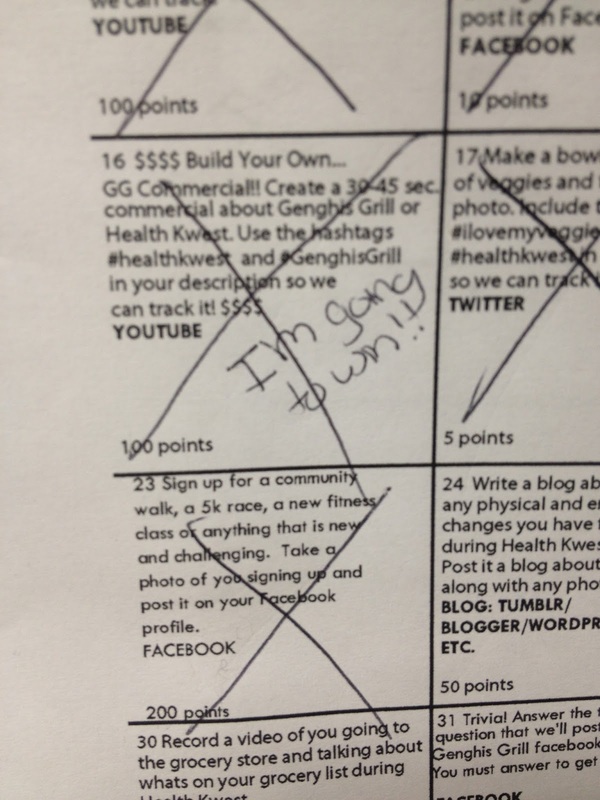 A few weeks ago I wrote on my Genghis calendar that I would win the commercial challenge! Faith! I love tea! Thanks Red Diamond!